EFFECTIVENESS OF A MORINGA SEED EXTRACT IN TREATING A SKIN INFECTION. Originally appeared in: Amaranth to Zai Holes, Chapter 11. There are powerful antibiotic and fungicidal effects of pterygospermin from the flowers and roots of the moringa tree. Now Axel Bosselmann has brought to our attention a study by Drs. Caceres and Lopez at the University of San Carlos in Guatemala. The article is summarized below. Herbal applications are commonly used to treat skin infections in developing countries, although few investigations are conducted to validate scientifically their popular use. 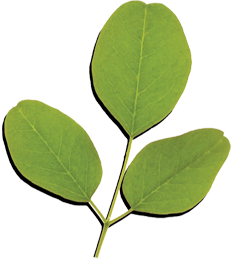 The small drought-resistant Moringa oleifera tree produces edible leaves, pods, flowers and roots. A previous study had showed that seeds are effective against skin infecting bacteria Staphylococcus aureus and Pseudomonas aeruginosa in vitro (i.e. in a test tube). This study showed that mice infected with S. aureus recovered as quickly with a specially prepared aqueous extract of moringa seed as with the antibiotic neomycin. Are you in a situation where there is a shortage of antibiotics? This ointment could be prepared for use in the local community anyplace where there is electricity and running water. I would not be surprised if much simpler methods, better suited to preparation as needed in the home, might not also be effective. I hope someone will devise and test such preparations.